Norfolk, Va. — The Navy’s first full-fledged court martial in the “Fat Leonard” corruption scandal kicks off Monday in a Norfolk Naval Base courtroom. Cmdr. 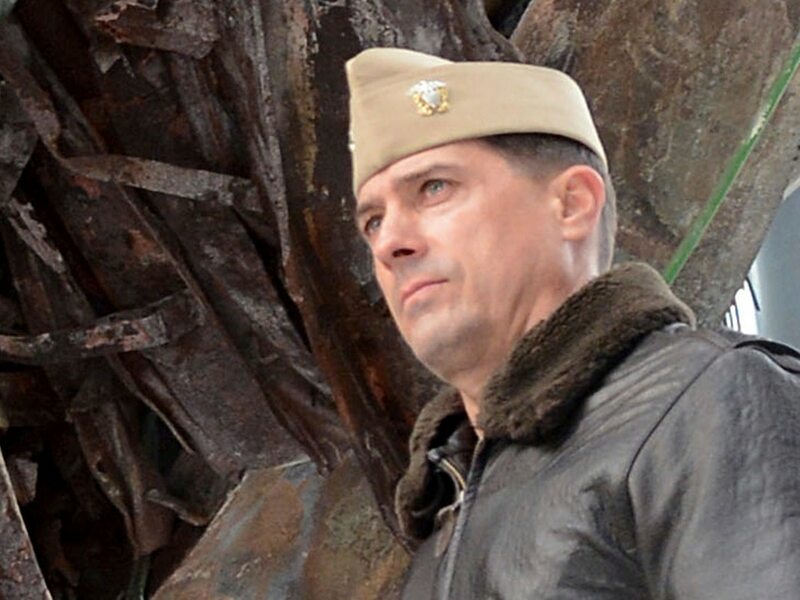 David Morales, a decorated fighter pilot, will face a trial by military judge to answer charges that he took more than $5,000 in unauthorized gifts from Leonard “Fat Leonard” Francis. Those gifts allegedly included travel, dinners, drinks and the services of prostitutes, as well as prime tickets to a Julio Iglesias concert and a Gucci fashion show. The Navy’s Norfolk criminal justice docket shows that the trial is slated to run the entire week. It’s in the spotlight because the government’s evidence will be aired and wrangled over in open court. Previous Navy prosecutions ended with plea deals. Along with Spinner, Morales is also being represented by a military lawyer, Cmdr. Chris Czaplak, executive officer of the Navy’s Defense Service Office, Southeast. Originally scheduled to begin on May 29 in Norfolk, the trial was postponed after the prosecutors' star witness —the corrupt Malaysian tycoon Francis — was too sick to travel from San Diego to Virginia. Francis entered a guilty plea in early 2015 to charges of bribery, conspiracy to commit bribery and conspiracy to defraud the United States out of $35 million. He has yet to be sentenced but has ratted out a string of Navy leaders. Citing Fat Leonard’s illness, military prosecutors wanted to shift proceedings to San Diego but defense attorneys objected. Instead, both sides traveled to California to depose Leonard under oath, generating hours of testimony that could be played in the early stages of the upcoming trial. The taped testimony remains under seal. The Assistant U.S. Attorney in San Diego has handled most of the Fat Leonard cases. Federal prosecutors charged 32 defendants and 20 have pleaded guilty to public corruption charges over the past five years. Last week, a grand jury in San Diego returned public corruption indictments on three retired Navy figures — Capt. David Haas, 50; Master Chief Petty Officer Ricarte Icmat David, 61; and Chief Petty Officer Brooks Alonzo Parks, 46. Haas is expected to return from Hawaii today to turn himself in to federal authorities and enter a not guilty plea in federal court.